A Proxy Server is easily know as a gateway that acts as an intermediary between the your computer and destination of servers. But i think you are really confuse about How the proxies works and what’s the really Private Proxy, Follow me, Let me introduce it to you. 2.2 Hide your Identity information. By using through the servers, your home PC sends your requests to the proxy server which then processes your request to the web server that’s you want to visit then the website server returns what you were want to visit. So,The server usually called a gateway or sometimes named tunneling proxy. You may be know the proxy server can Benefit for administration to management the network,sash as in school,The administrator of network can filter and a manage Internet usage from the server to Outside of school network. And the proxy server usually use cache that storage the Web pages on the server,that can speed up your visit on the Local Area Network. When your IP address banned by a website or forum like the Twitter, Facebook or Craigslist, It’s easy to use the proxies to change your IP address. With the proxies you can create numerous social media account for your marketing. 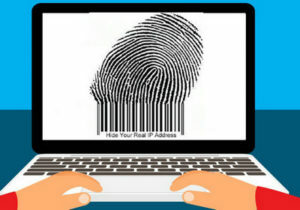 No doubt IP address is the your online fingerprint that’s other can know your locations and online activities such as Browsing history. So,Using proxies for anonymous surfing to protect your online personal privacy, means more safe from attacks by the online unscrupulous hackers and scammers. When you travel outside of your country or state,if you’re want to access the websites as local native, you can use proxy that’s belong to your country or state,then you can do it.So it’s not difficult to watch the Hulu when you’re in Dubai. Not just for the proxy server cache the content, Also,the proxy server usually host on fast dedicated server that as intermediary server for faster, more reliable performance,Some of firewall or other factor such as DNS server may slow down to access special websites,the anonymous proxies may improve your connectivity. The proxies also named Exclusive Proxies,A private proxy that hosted on dedicated server and the IP address is only used by you.The other user can not access the Proxy or IP address. You can choose the location of the proxies.Usually the proxy more close to your location,the more fast speed you can get.You can find the US and UK private proxies online. To find the best private proxy providers online, I suggest you do some homeworks before you buy for lots of providers that use shared proxies or public proxies as the private. And here some of Proxy Service compare can be help you. 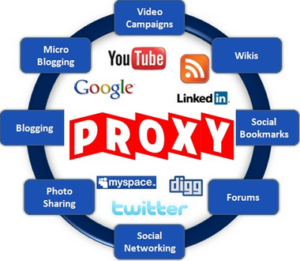 Now Private proxies are widely used on Search Engine and Internet Marketing,Specifically you can use the proxies for for social media marketing.Such as Proxies for instagram and pinterest. 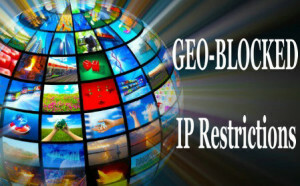 The proxies can help you bypass the IP restriction on social media websites. Also,you can use the private proxies for footsites, with the proxies you can get more chance to cop the sneaker by Another Nike Bot or Better Nike Bot. Also named Semi Dedicated Proxies, A Shared proxy means the IP address of proxy that are shared and used by multiple users.The shared proxies are very much like private,also provide security, privacy and anonymity online,but share the bandwidth and access to more users. Usually proxy service share a proxy to 3-5 users.The price are 1/2 as private proxy.If you can not afford to use private proxy,You can use the shared proxies to try your luck for the IP address may be also used by other for same purpose.That’s more chance your proxies will be banned. 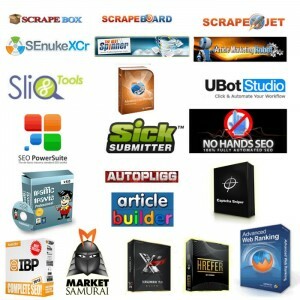 It’s wise to use the shared proxies for SEO tools,such as GSA Search Engine Ranker and scrapebox, The shared proxies can help you Checking keyword rankings and Scraping web content on different types of search engine. With proxies can easily speed up your task for it’s not so strict compare with social media marketing. Also, Now coming another type of proxies named Rotating proxy or Backconnect proxy which change the ip address of proxy each time,The ip address rotation are used by all of users belong to a certain proxy providers.This proxies are also share, and more similar with TOR that each request you make goes through a different, random ip address.It’s also mainly used for the automation tools. The Public Proxy Server also know as Open Proxies which are can be used by anyone! It’s easy find the free proxies on the hidemyass. No one know,which free proxies are reliable and good use, so when talking about the Public Proxies you have to checking,checking and always checking…Yes it’s free.but you’re really waste the time on it. A user seeking to hide their ip and get to blocked web sites can navigate to a proxy site such as proxysite.com, enter the url of the site they want to access, and then gain access to that site. You can find web proxy list that’s constantly updated on http://www.proxysites.com. All Sock Proxies are Highly anonymous Proxies.Not only for web browsing,and versatile for all your Internet usage,such as Outlook,torrent, ICQ, Skype, MSN, WoW and so on. Elite Proxies – also named by Highly Anonymous Proxies that’re absolute anonymity.The web server can’t detect your real IP (your ISP IP) address,also can’t knows you’re using a proxy and all socks proxies is elite.